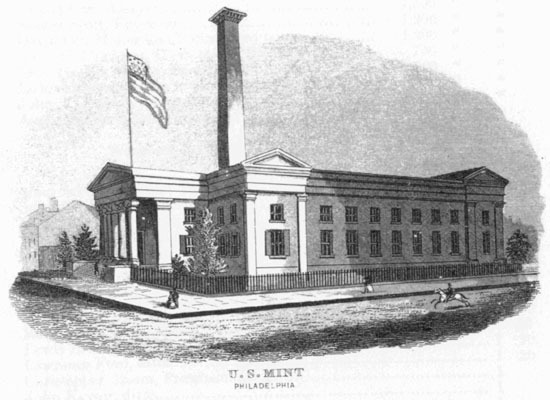 This engraving is of the second Philadelphia Mint. Source: Evans, George G. Illustrated History of the United States Mint . New York, NY: Sanford J. Durst Numismatic Publications, New Revised Edition, 1977, unnumbered page following page 12.